Facebook announced Thursday it is giving its venerable news feed a new look and feel. 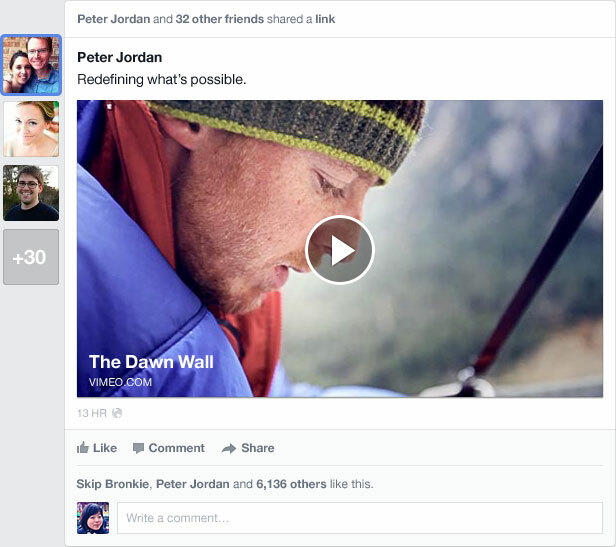 The new look is a radical departure from the Facebook of old. It's mobile-inspired and consistent across devices. As for the "feeds" aspect of news feed, users now have access to more types of feeds and have more control over how those feeds are displayed. Users can subscribe to different types of feeds, including feeds from all friends, close friends, music, photos, games and those who a user "follows." The new news feed design was inspired by mobile. It takes significant cues from the Facebook mobile apps for phones and tablets, adding a new side navigation bar and more white space.